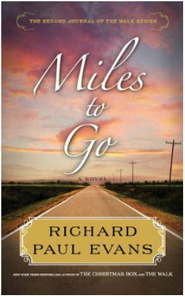 From the New York Times bestselling author, an inspiring story of life, love, and moving on. Married and the father of a young daughter, John Bevan had finally found the traditional family he lacked as an orphaned child. But all that disappears when a fatal car accident steals away his wife — and the unborn child she carried. Filled with sorrow, John withdraws from life and love. He erects a small cross at the scene of his wife's accident and visits daily, grieving. Then one morning he encounters a young man kneeling before the cross, touching it up with white paint. John's conversations and travels with this mysterious man — known to him only as the Cross Gardener — will forever change his world. From Jason F. Wright comes a timeless tale that explores the questions we ask when our lives are touched by loss: How do we carry on? And who will show us the way? The answers John Bevan finds illuminate the hope that even in our darkest hours we are not alone. 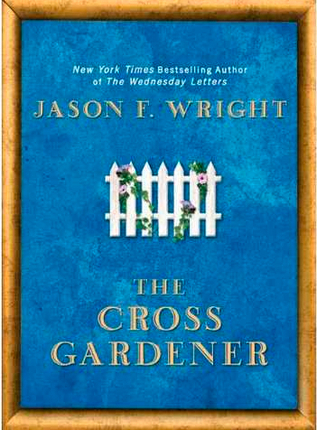 The Cross Gardener is wonderful book to add to your collection, especially if you’re a Jason F. Wright fan. Wright is the New York Times bestselling author of Christmas Jars, The Wednesday Letters, and Recovering Charles. Wright skillfully paints John Bevan as a character with incredible depth. John’s life starts out tragically. Right from birth, death is an ever-present part of his life when his mother dies in a car accident that instigates her labor. At the age of four, John is ado...moreThe Cross Gardener is wonderful book to add to your collection, especially if you’re a Jason F. Wright fan. Wright is the New York Times bestselling author of Christmas Jars, The Wednesday Letters, and Recovering Charles. Wright skillfully paints John Bevan as a character with incredible depth. John’s life starts out tragically. Right from birth, death is an ever-present part of his life when his mother dies in a car accident that instigates her labor. At the age of four, John is adopted by a single man who runs an orchard. Only then does he learn what unconditional love is. John’s journey in life applies to all of us as he faces the death of his wife. As a young widower, with a six-year-old daughter, John doesn’t know how to heal the gaping hole in his heart. His orchard business suffers, he isolates himself from his in-laws and friends, and no matter how much time passes he can’t seem to exist beyond the moment of his wife’s death. John becomes obsessive about visiting his wife’s grave site and the location where she was killed. During one of his daily visits, he encounters a strange man who calls himself the cross gardener. A friendship slowly forms between the two men until John learns to open up to the stranger. The cross gardener teaches John how to listen, how to lighten the burdens of his past, how to savor the world again, and how to add meaning back into his relationships. The Cross Gardener is a book teeming with emotion, truth, and insightfulness into the human heart. 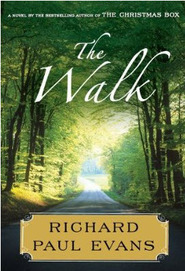 A story of hope and healing that brightens the dark corners of despair, simultaneously offering the reader a gratifying journey. It was well written, but don't expect it to be up lifting until the end. I had a hard time with the book because it seemed so hopeless throughout the whole thing. I read the whole book just because I was sure there had to be something uplifting at the end. Maybe it was just me, but as much as I loved the book it left me depressed every time I put it down. It all came together at the end, but I just kept looking for something positive and uplifting. Maybe I just missed the uplifting part of the story. There was good parts, but for me it had to much sadness and hopelessness in it. This is the first Jason Wright that I didn't like as much as the others I have read.